NCL Industries, the flagship company of the NCL Group has been serving the construction industry for the past 35years with a top-quality cement, popularly, known as Nagarjuna Cement. Nagarjuna is a premium cement brand in South India that extends into Kerala, Tamilnadu, Karnataka and Pondicherry. Nagarjuna Cement is popularly known as "Monagadu Cement" in Telugu. The company operates two units, one at Simhapuri (Suryapetdistrict) in Telangana & the other at Kondapalli (Krishna district) in Andhra Pradesh, & has an annual installed capacity of 2.70 million MT per annum. 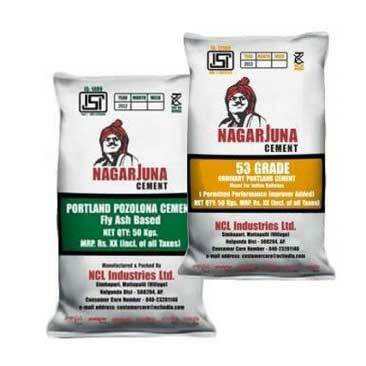 Nagarjuna Cement is available in various grades of Ordinary Portland Cement (Grades 53 & 43) and Pozollona Portland Cement. In addition, a special cement (IRS Grade 53 S) is manufactured for supply to Indian Railways for making concrete sleepers. Nagarjuna Cement is available in 50 Kg HPDE bags meeting relevant specifications of BIS quality. Cement is also supplied in laminated / paper bags to select markets for additional cost. For housing and other projects where storage facilities are available for bulk cement, NCL supplies naked cement as per the customer’s choice in bulk transport carriers. . The quality management system of the company has been certified to conform to ISO 9001:2015. 1) Three decades of proven performance. 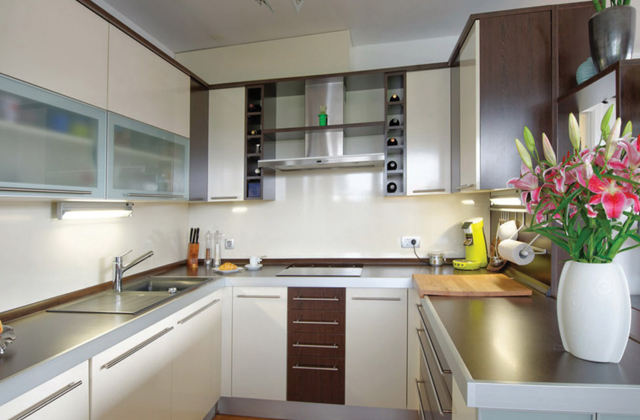 2) A premium brand with well-established quality & internal standards conform to the Quality Management System Standard: ISO 9001:2015. 3) Nagarjuna cement is BIS certified & its performance far exceeds established BIS standards. NCL maintains fully equipped laboratories where the cement is tested monthly for specifications & for comparison with competitor brands. In addition, higher values of Lime Saturation Factor (LSF) ratios & lower values of free lime content is maintained in clinkers. 5) Superior quality of limestone reserves. 6) Superior customer service with immediate response to customer complaints. 7) One of the largest dealers network (more than 1600 dealers) & the first company to establish a Cement Dealers Trust to look after the welfare of dealers & their families. 8) In-house wagon loading facility. 9) Given its performance parameters, once used, customers insist upon the brand. 10) One of the few companies in the private sector in Telanganato manufacture special railway-grade (IRS Grade 53S) cement required for specialized works like railway sleepers and prestressed concrete works. 11) Nagarjuna Cement is supplied to multiple states beyond Andhra Pradesh & Telangana into Kerala, Madhya Pradesh, Tamilnadu, Karnataka, Orissa, Maharashtra, Assam, West Bengal, Jharkhand, Pondicherry, & Chhattisgarh. 12) Nagarjuna Cement, known for its superior quality, is ideal for mission-critical applications viz for the construction of an underwater pipe tunnel across the river Goutami, as was done by M/S Zublin International of Germany, using 53S grade cement.